Below you can view all the homes for sale in the Rosemoore Lake subdivision located in Suwanee Georgia. Listings in Rosemoore Lake are updated daily from data we receive from the Atlanta multiple listing service. To learn more about any of these homes or to receive custom notifications when a new property is listed for sale in Rosemoore Lake, give us a call at 404-998-4113. Ring Doorbell, Alarm System, Reinforced Doors/Frames MLS#6526846. Keller Williams Realty Atl Part. Wood Floors Throughout Home. Fantastic Lake, Swim Tennis Community. MLS#6519198. Re/Max Center. This Home Is Part Of A Community With A Swimming Pool / Lighted Tennis And Lake! MLS#6091502. Berkshire Hathaway Homeservices Georgia Properties. 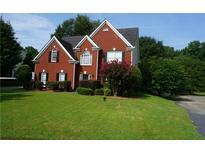 Excellent Suwanee Location Near Shops, Schools ... MLS#6056899. Around Atlanta Realty Inc.